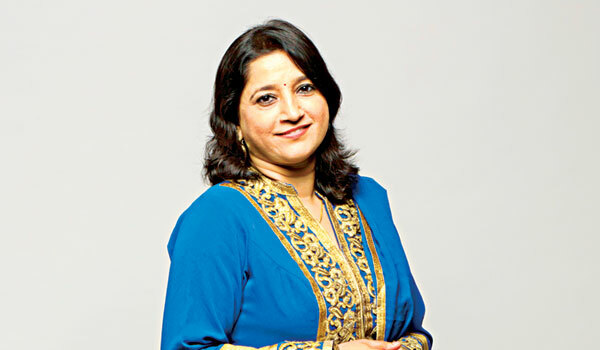 Known for her soulful rendition and interplay of voice and composition, Kavita Seth, is an artiste with a difference. Specialising in the Sufi form of music, the mother-of-two explains that it was only in 2002 that she was introduced to that genre. a�?My father took me to a dargah, and I wasna��t sure what to expect then. But it was so touching and soulful, I instantly took a liking,a�? she begins, adding that the real turning point came when she watched the legendary Abida Parveen. a�?When I heard her sing, I decided to change my entire lifestyle. Not only do I now prefer to sing in the Sufi style, but live that way too a�� with simplicity and meaning,a�? says the singer, whose inspiration includes Nusrat Fateh Ali Khan and Jagjit Singh, whom she says brought Sufi and soul music from a niche audience to the drawing room of the masses. While others may face challenges being a female Sufi singer, she chooses to ignore competition, by focusing on her work. a�?Ia��ve realised that I should sing for myself only. So I create music that pleases me. Ia��m not in it for the money or fame. Perhaps that is why no one really knew me as a Sufi singer, or as a singer at all, until I sang Tumhi Ho Bandhu,a�? she tells us, referring to the Bollywood number from the Deepika Padukone-Saif Ali Khan starrer Cocktail. Apparently turning down offers to sing in the film industry because the lyrics are not very appropriate, Seth is happy to stick to music that is poetic. a�?I have been given several offers, and I am very happy to work in film music. But I have been mostly given item songs, which I feel too embarrassed to sing. As a mother, I would really not like to be the one singing those words,a�? she says, elaborating that if anything with good lyrics, and more soulful meaning came along, shea��d love to work on it. Just recently back from Turkey, which she never wanted to leave, Seth reveals that singing is her life. a�?I went to such beautiful places in Turkey and Switzerland and had a marvellous time. But it was only when I returned and started to practice again that I realised I missed music even on a holiday. It really is my life,a�? she says in conclusion. Seth will have a charity show in the city on July 11, in collaboration with the Parikrma Humanity Foundation. The fund-raiser will help the organisation rebuild two schools in Nepal which were destroyed by the April earthquake.